Nestled amongst drilling rigs, semi lots and Midland, Texas', ever-growing sprawl of development is a glorious oasis of nature. At the soon-to-be-named 3F (for fur, fins and feathers), the trees stand lush and tall—proud, almost, to create a perimeter that blocks the bustling outside world and creates a cozy home for the critters and characters who reside within. 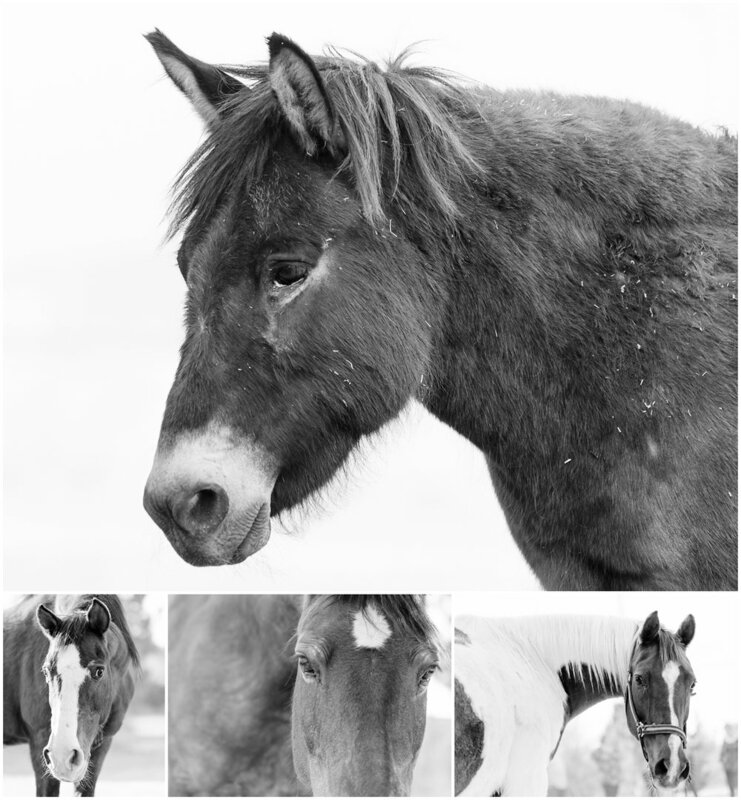 As the sunrise's rays streamed through the branches, the morning came alive with the ruckus of animals that call 3F their home—Zena the mustang, Earl the donkey, chickens, dogs, fish and more. They're all loved—even the wild(ish) rabbits—by Pam and her family. 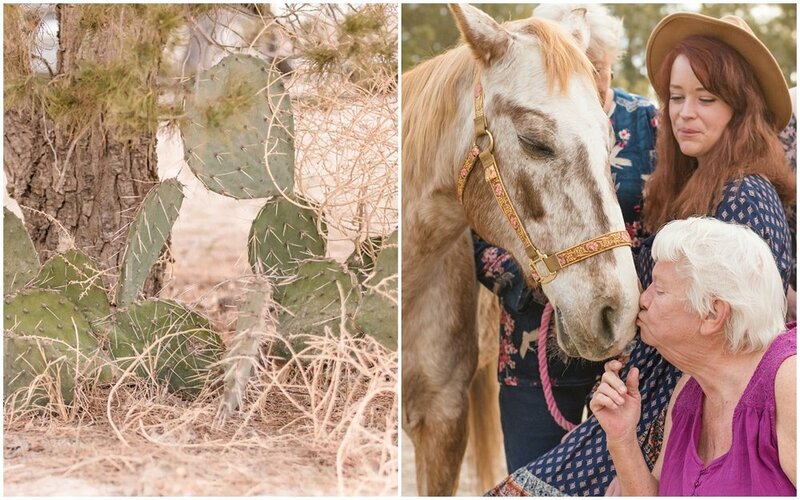 Our time together was a mix of both family and equine portraits, capturing the beautiful bonds between family members—both human and horse. 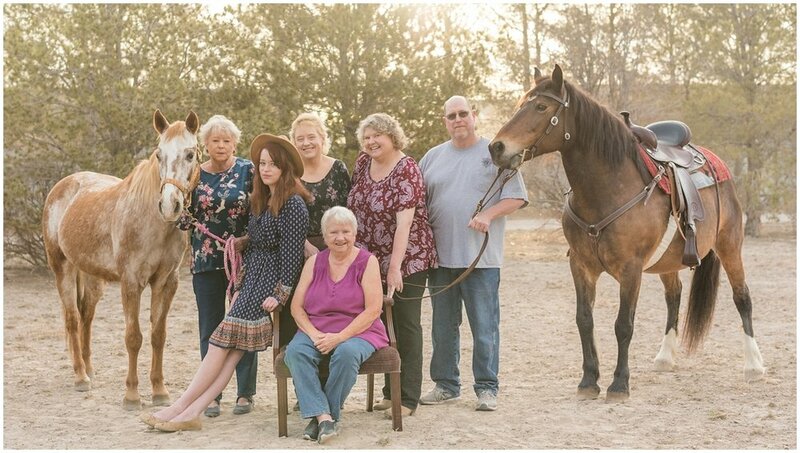 After that ever-important group photo (horses included, of course! ), we broke the group down to pairs, trios and more to ensure a portrait for every occasion. The time moved quickly and so did we, but the session was a whirlwind of fun! Laughter bounced from all corners of the property before the session even began, and my cheeks ached from grinning and laughing by the time we were finished! Love and joy run deep in this family, and I'm so glad I got to help capture it. Pam, I am so glad to have met you! The close, joyful bond you and your family share is just beautiful, and the kind hearts you each possess just shine when you're around your animals. They are truly some of the luckiest critters around! Thank you again for reaching out—I am honored to have the chance to serve your family, and even luckier to get to know you!